What’s the story? We know our ocean is under unprecedented strain from warming, acidification, overfishing and plastic contamination, among other challenges. By applying the technologies of the Fourth Industrial Revolution and involving the right mix of public and private stakeholders, we think the Friends of Ocean Action can make a big difference to some of these problems. Let’s start with the tech. A tremendous flood of data is being generated by the advanced sensors carried by ships, satellites, ocean-going drones, fishing nets and even surfboards, but it just isn’t being fully exploited. We are working with a network of scientists, tech developers and entrepreneurs to make this wealth of data on the ocean available on a comprehensive, open-source, digital platform for the global public good. In the same way that Interpol enables crime-fighting agencies around the world to share information, we hope this platform will help governments to restore fisheries, stop vessels that are fishing illegally from landing their catch, and help seafood businesses, retailers and individuals that rely on the ocean for their livelihoods. What would this mean for local communities and livelihoods? Billions of people around the world rely on the ocean for food and income. Yet the economics around how we source food from the seas are skewed. Illegal fishing largely involves industrial-size trawlers, so keeping these from landing their catch would preserve stocks for those that are able to fish them sustainably. Better enforcement of marine-protected areas would also benefit the global fishing industry as a whole, as once stocks recover, they move on to other areas, replenishing stocks there. Job done, then? The technology only allows us to enforce regulations that have been ignored in the past. Next we have to build the political will. Working towards the UN Ocean Summit in 2020, the UN Biodiversity Conference in China in 2020 and the UN’s efforts to make the years 2021-2030 a ‘decade of ocean science‘, our multistakeholder coalition will be very active at the G7 meeting, UN General Assembly and other meetings to push this issue up the agenda. Also keep an eye out for the 2019 APEC Summit – hosted by Chile, a very active nation on this issue – where we hope marine protection will be driven forward. Sounds like a multistakeholder initiative… Definitely. The Friends of Ocean Action are working with governments to ratify and implement the Port State Measures Agreement (a global agreement to target illegal, unreported and unregulated fishing) as well as with the UN Secretary General’s Special Envoy on the Ocean; data specialists such as the Centre for Ocean Solutions at Stanford University; Pew Environment; the Nature Conservancy; Global Fishing Watch; and retailers who signed our Tuna 2020 Traceability Declaration to ensure sustainable supply chains. Anything else we can expect from 2019? A lot. We know that our Annual Meeting in January is bringing together the people with the knowledge and networks to fast-track concrete solutions for protecting the ocean. 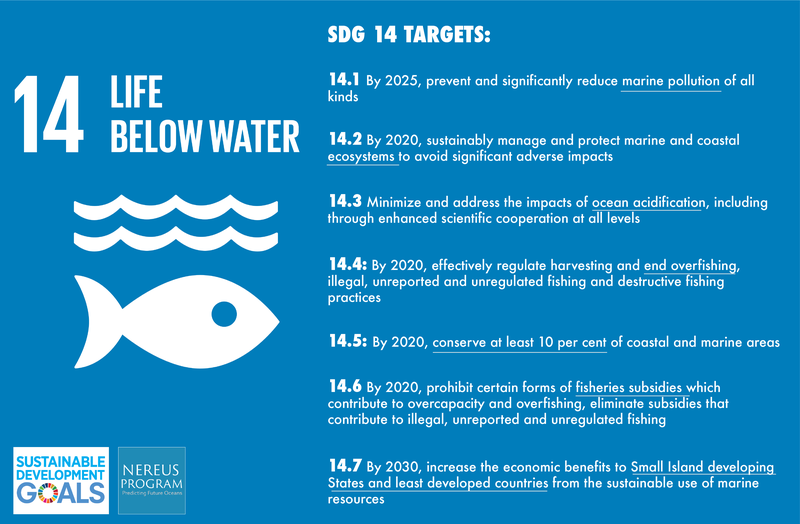 We hope this will trigger new multistakeholder collaborations and investments for ocean action. The Friends of Ocean Action are hosting a day-long event to mobilise the partnerships needed for concrete steps forward in 2019. We’re also going to use the meeting to lift the issue of seabed mining up the international agenda. With our thirst for rare minerals growing unabated, more and more firms are looking to the seabed to extract them. The big challenge from this kind of extraction is that it, while it is regulated, the environmental impact is largely unknown and there is often little transparency on how decisions are taken.